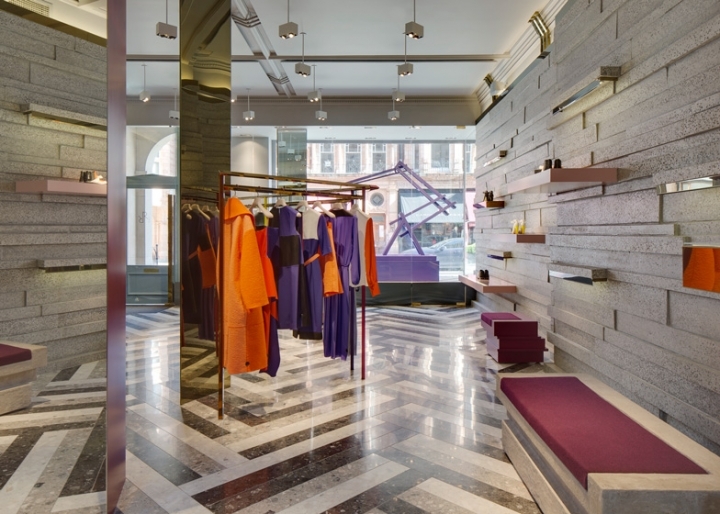 Architect David Adjaye has referenced elements from Roksanda Ilincic's geometric fashion designs for the interior of her flagship store in London's Mayfair. David Adjaye, who has also designed homes for Alexander McQueen, Jake Chapman and Ewan McGregor, based the design concept on the Serbian fashion designer's use of geometry and symmetry in her garments. 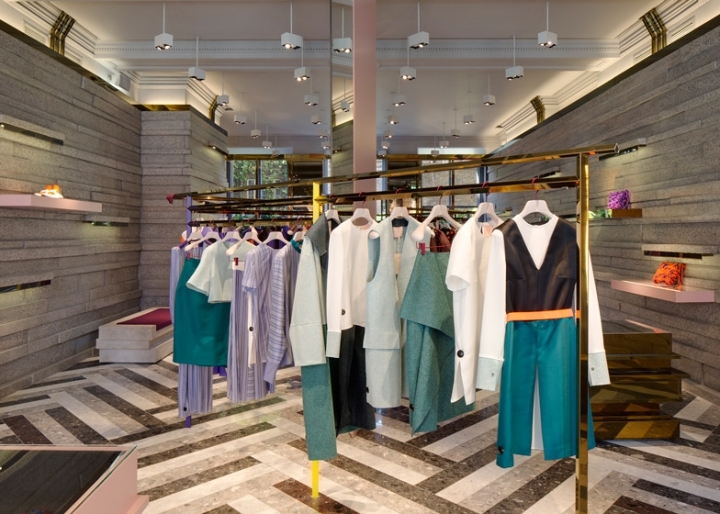 "I wanted it to feel like an extension of my clothing, not a regular shop," said Ilincic. 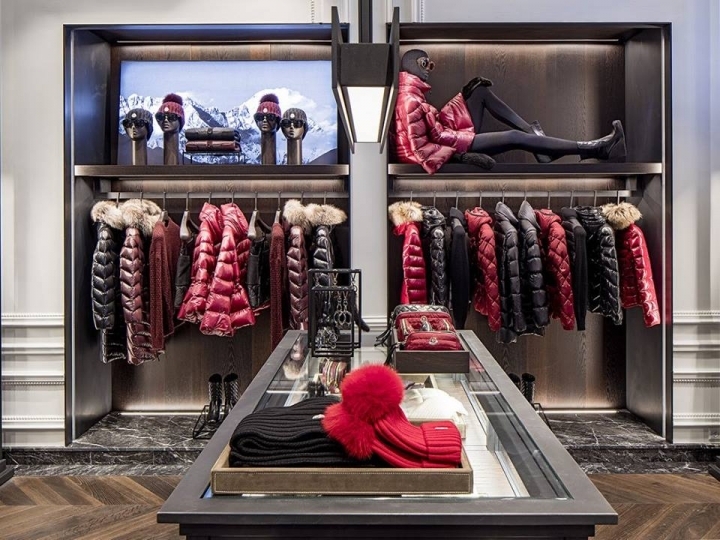 "So whether it's the interior, or the detail on a coat in the store, it still has that architectural experience." Located in a Grade II Listed building on Mayfair's Mount Street, the shop interior is set back slightly to preserve the original frontage. 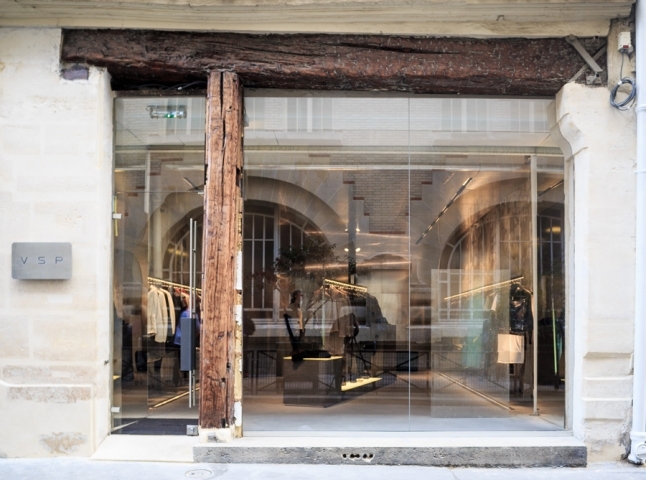 The former shop window remains intact, while a new glass screen and entrance denotes the start of the contemporary space – the window display dividing old and new. A glazed wall towards the rear mirrors the glass screen at the front. 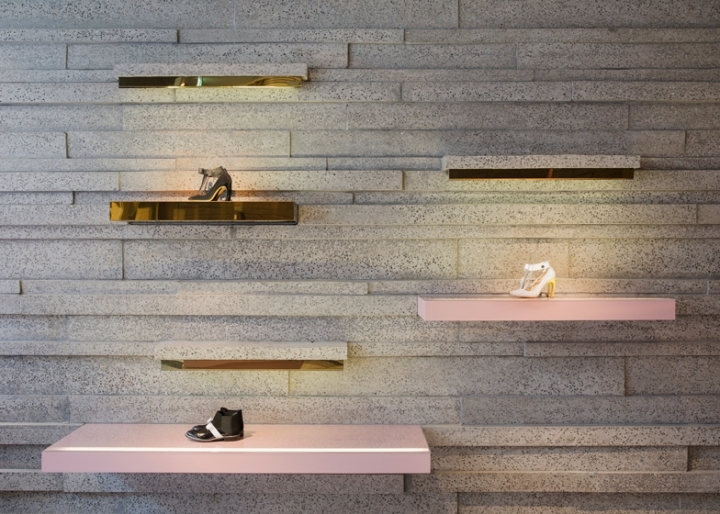 Walls and display plinths are made from irregularly staggered concrete slabs that create a three-dimensional pattern. 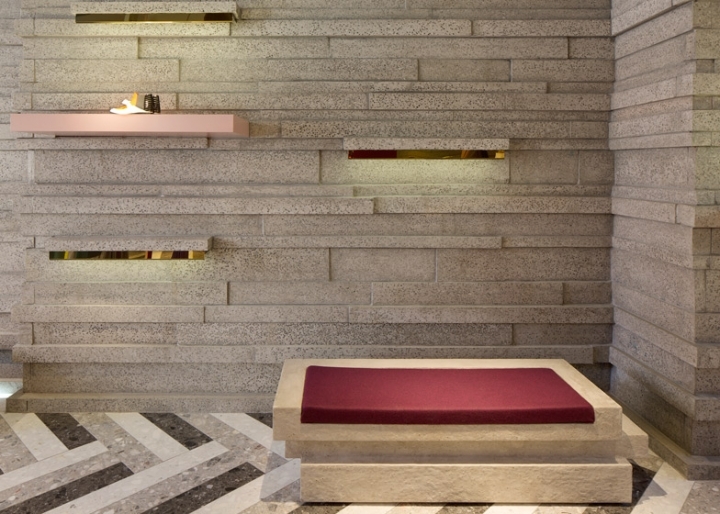 The composite marble herringbone floor adds to the use of angles and lines. A neutral colour palette is punctuated with bursts of colour, while shelves and rails snake around the room. Free-standing units are made out of glossy lacquered joinery and concrete, and existing columns are wrapped in angular casing made from a rose-gold polished stainless steel. 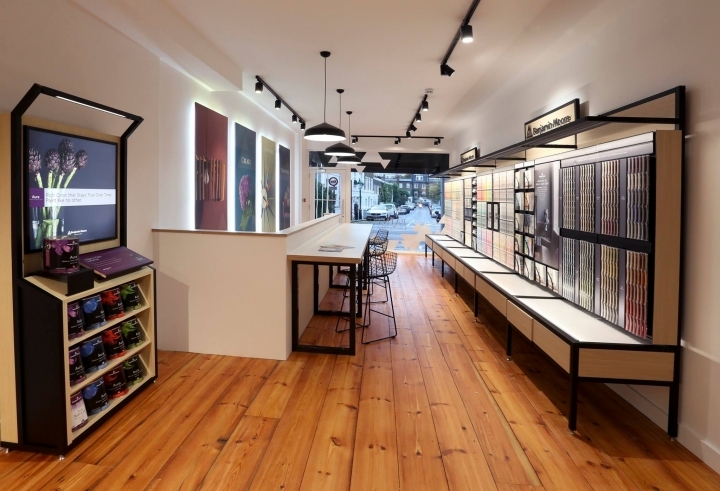 Downstairs, the VIP and office spaces are decorated with a mix of vibrant colour blocks and soft finishes, in contrast with the ground-floor shop. The walls are lined with fabric panels, each room in its own colour, including shades of yellow, beige, pink, purple and maroon. 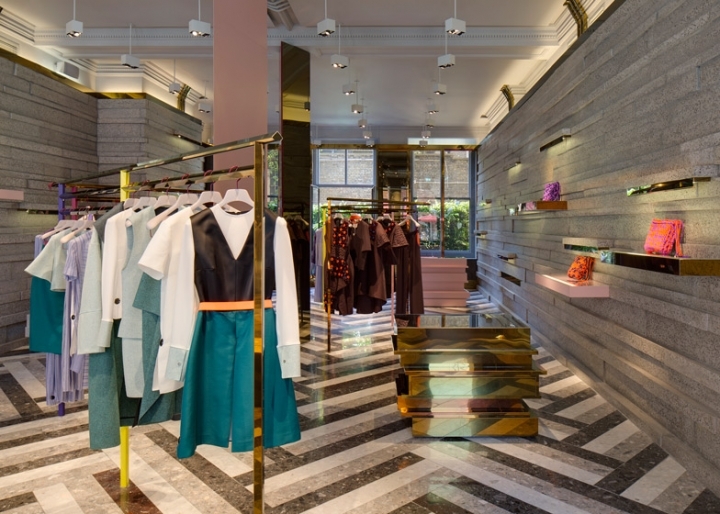 Architect David Adjaye has referenced elements from Roksanda Ilincic's geometric fashion designs for the interior of her flagship store in London's Mayfair (+ slideshow). Adjaye's Sugar Hill housing block is nearing completion in Harlem, though his collaboration with Ron Arad missed out on winning Canada's National Holocaust Monument competition.